Contemporary, relaxed and imaginative. 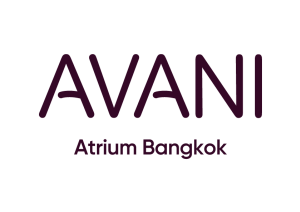 Be it a leisurely family break or romantic escape, AVANI Hotels & Resorts provides the right space for guests who value the details that matter. - Maintains constant communication with other Managers in the Department and throughout the hotel as necessary. - Knows how and when to impose deadlines and delegate tasks. - Demonstrates self-confidence, energy, enthusiasm, and leadership by example. - Has effective public speaking and presentation skills; presents ideas, expectations, and information in a concise, well-organized manner. - Uses effective listening skills. - Has personal integrity, manages time well, and is highly visible in areas of responsibility. - Serves as point of contact for customers, hotel and sales organization. Ensure pricing/selling strategies are followed. - Able to maximize revenue by up selling. - Produces proposal, contracts and other related booking tools. Prepares all sales documentation accurately. - Works closely with Account Director/Managers to facilities customer bookings. - Understanding and achievement of service, catering, and hotel goals. - Implement turnover meeting with Event Management team. - Effective filing and trace system. - Develop and maintain all lead, tentative booking files. - Ensure that all incoming calls are and group within 3 rings with proper greetings and telephone etiquette. - Assist other Department Managers / Supervisors as needed. - Complete special projects and/or other activities as assigned by the Director of Sales and/or Director of Sales & Marketing.